Published in Life & Health on 10/26/2017 by Harry Lew, Chief Content Writer. 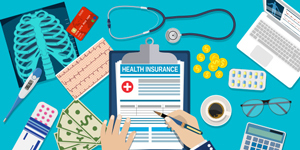 President Donald Trump on October 12, 2017 signed an executive order that promotes the ability of small employers and consumers to band together in so-called Association Health Plans (AHPs). The Administration claims the plans will lower insurance costs and increase access for people who may have had difficulty finding affordable insurance under the Affordable Care Act (ACA). The President’s order also would redefine short-term health insurance limits from the current 90 days to 364 days, as well as allow employers to offer a Health Reimbursement Account (HRA) that facilitates employees purchasing individual health coverage outside of the employer group plan on a tax-free basis. Changing the Employee Retirement Income Security Act of 1974 (ERISA) rules that determine what type of organization can be considered an employer. This would allow AHPs to be regulated by the Department of Labor, not by state insurance departments. Allowing employers to form health insurance purchasing groups as long as they’re from the same industry or geographic region. Although the President’s order is a “directional” change regarding AHPs, it does not provide concrete guidance on how future plans should operate. The Department of Labor has two months to determine specific regulatory changes, which may take many months or even years to implement via final rule making. The heart of President Trump’s recommendation is moving AHPs from state regulation to federal oversight. The plans will be regulated the same as as large employer health plans, even though AHPs are designed for small employers or individual employees within an affinity group or geographic area. This means AHPs would be exempt from the ACA requirements that health plans provide 10 “essential benefits” and refrain from charging higher premiums for consumers with pre-existing conditions. Trump’s stated goal: to give AHPs greater flexibility to serve consumers at a potentially lower cost. Although further details will be forthcoming, industry analysts have expressed concerns over efforts to create a two-tier regulatory framework. They say this might create an uneven playing field between federally regulated AHPs and state-regulated individual-insurance and small-group plans. Both of the state-level plans would continue to be subject to ACA requirements. Having two tiers may result in higher premiums and fewer coverage options for individuals and small employers in the traditional plans, thereby destabilizing those markets. The ultimate impact of the President’s executive order will depend on the interplay between giving AHP’s more flexibility while potentially disrupting the current markets. Also a balancing act will be giving small employers more options for providing lower-cost healthcare to their employees while at the same time making sure those options are financially sound. As these issues play out, it’s clear the devil will be in the details for the new AHP plans. If they give health insurance agents more future sales opportunities, while giving financial professionals a new avenue for purchasing health insurance for themselves and their employees, that will be a welcome development. However, as with all things insurance, careful fact-finding to uncover client needs and due diligence regarding AHP provisions and finances will be essential.